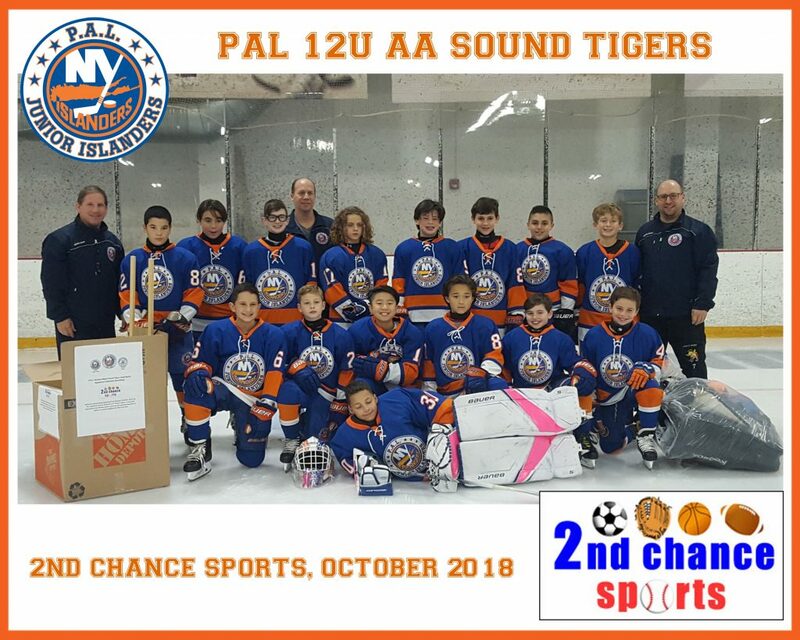 Our PAL 12U AA Sound Tigers will be collecting used sporting equipment at Iceworks in Syosset the entire month of October. Drop any used sporting equipment between 10/1/18 – 10/31/18. a non-profit organization that donates gently used and new sporting equipment to children in need throughout the New York area, including areas that were affected by Hurricane Sandy. Kids grow up fast – and they outgrow their sports equipment, often times yearly. Much of this equipment is still in great condition and has lots of years left in it. So instead of letting these items clutter your home and garage, donate your sports equipment to kids who cannot afford them. We only accept donations of sports equipment – no monetary donations accepted. one ball and one child at a time!